When your unified communications environment is growing in size, span and complexity, it becomes more difficult to manage your videoconferencing investments effectively, to leverage the latest features as they become available and to ensure the best possible user experience. But those initiatives are still imperative to the success of your video collaboration solutions. For large or growing organizations, Polycom Advantage Service is the first step to solving those challenges. Advantage Service provides a self-service approach to increasing end user adoption of your video investment, valuable and actionable information on the status and utilization of your collaboration solution, and faster time to problem resolution. 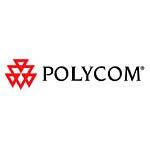 For larger organizations with mission critical Polycom Infrastructure solutions Advantage Plus is the next step. A modular service built on top of an active Polycom Advantage service agreement. This modular approach enables you to better match your IT needs with a solution that is targeted, tailored and flexible. Select only the modules that meet your business needs.